McCausland is a name synonymous with taxis in Belfast, but now one member of the famous Value Cabs family has found success with a hobby not traditionally associated with dialling 90 80 90 80. Paul McCausland has been the sales and marketing manager for Value Cabs for the past eight years, but in the past three months he’s carved out a reputation for himself as one of Belfast’s top food bloggers. 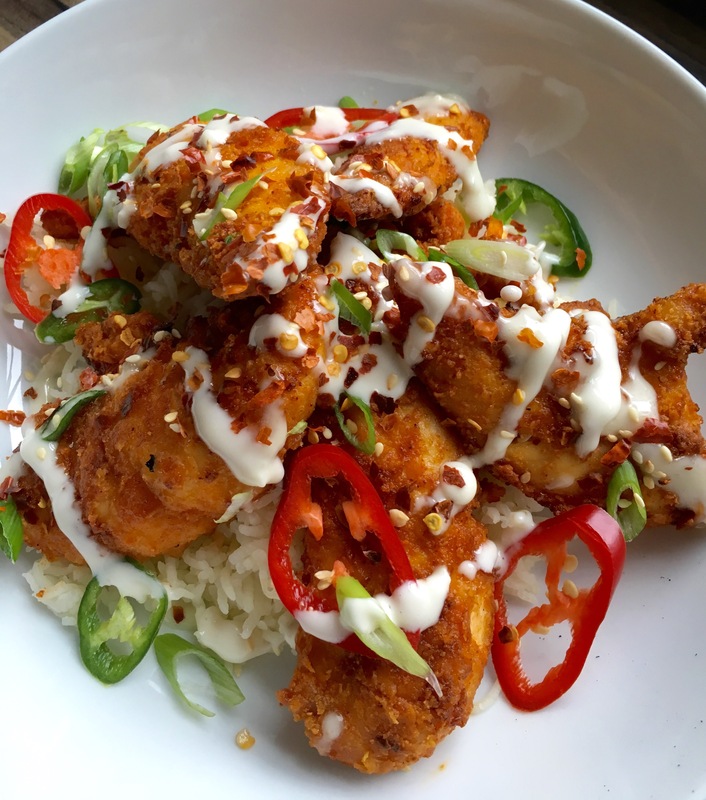 He explained how swankfood.com came about: “It was something I have been considering for a couple of months as the majority of the meals I cook I post on Instagram which were very well received,” said Paul. “Most of the time when I’m invited to dinner parties I was usually commandeered to take over cooking duties, something I was more than happy to do! With my passion for cooking and using my marketing experience I am keen to try and develop swankfood into a brand that people recognise and visit for recipes ideas or just some inspiration. Of his future prospects Paul said: “I suppose doing something that you are passionate about is every person’s dream but working in a professional kitchen never really appealed to me. I immensely enjoy the creative side of cooking and describing the cooking process in such a way that anyone with little or no experience can get satisfaction from cooking a meal from scratch and showing off to their friends. You can follow Swankfood on facebook, twitter and instagram for recipes and inspiration. Be warned, this is not a dish for people with a weak disposition for chilli. 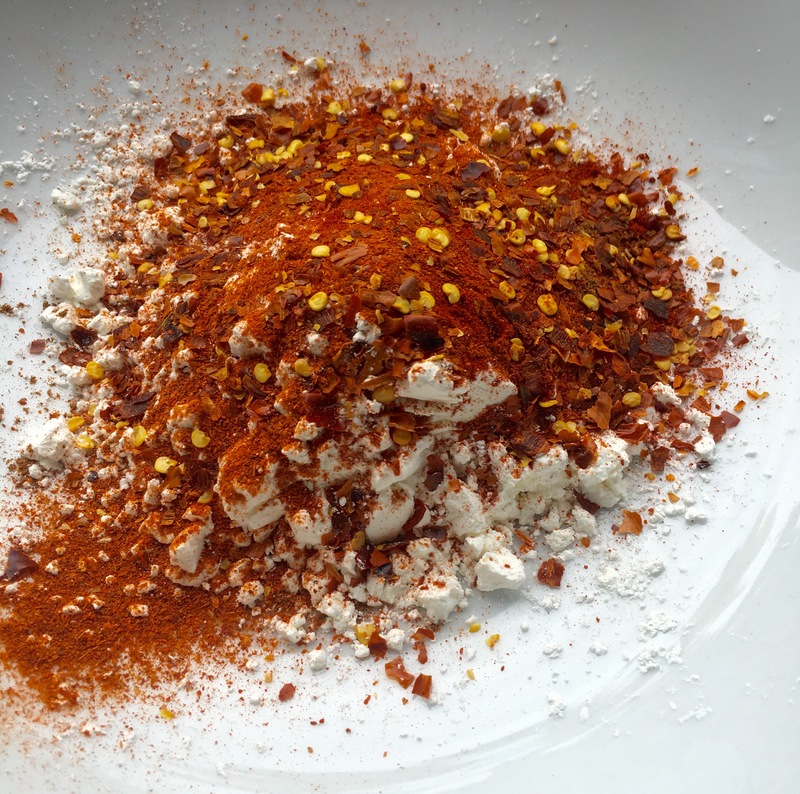 First make the coating for the chicken by adding the flour, smoked paprika, Chinese 5 spice, hot chilli powder and 1 teaspoon of the chilli flakes to a bowl and mix well. It is important not to add any salt to the coating as it will draw the moisture from the chicken which will prevent it from turning crisp. 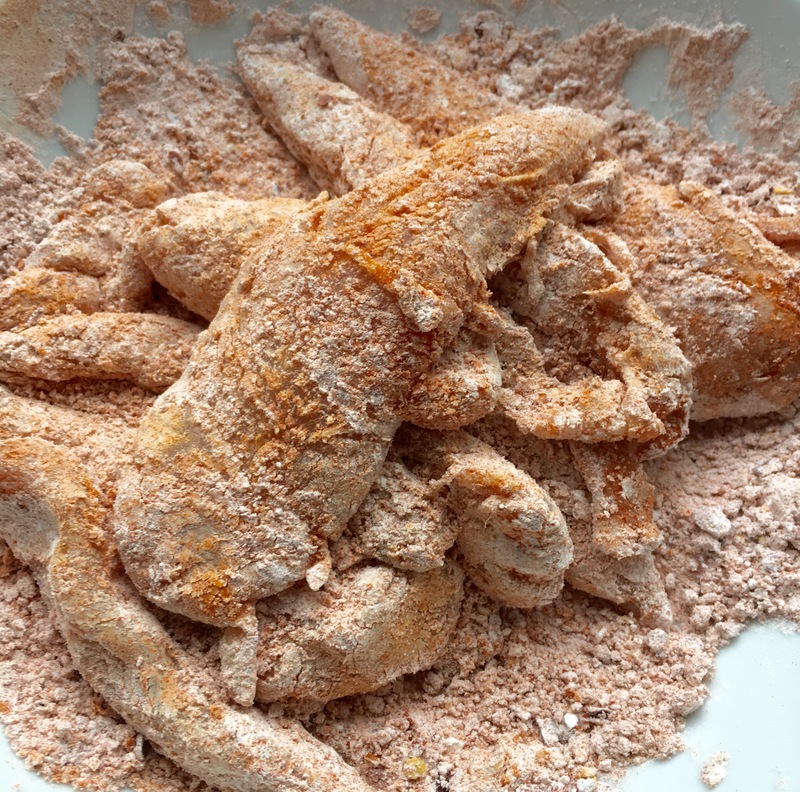 Once mixed add the chicken and coat with the spices and flour. Set aside and preheat an oven to 200c along with an oven proof dish. While the oven is coming up to temp make the lime and garlic mayo by simply placing all the ingrediens into a bowl and combining. When the oven has reached 200c remove the dish and add the butter and olive oil and place back in the oven for 3 minutes. This stage is critical as you need to ensure you are adding the chicken to hot oil/butter or the coating will absorb the fat and become soggy. Set the timer to 10 mins. After 10 remove the chicken, turn and put back in the oven. At this stage you want to crank the heat up to 220c so the chicken crisps. If you were to set the oven to this temp from the beginning the butter would burn and the chicken would come out black. Cook for a further 10 minutes, remove and place on kitchen roll to absorb the excess oil. 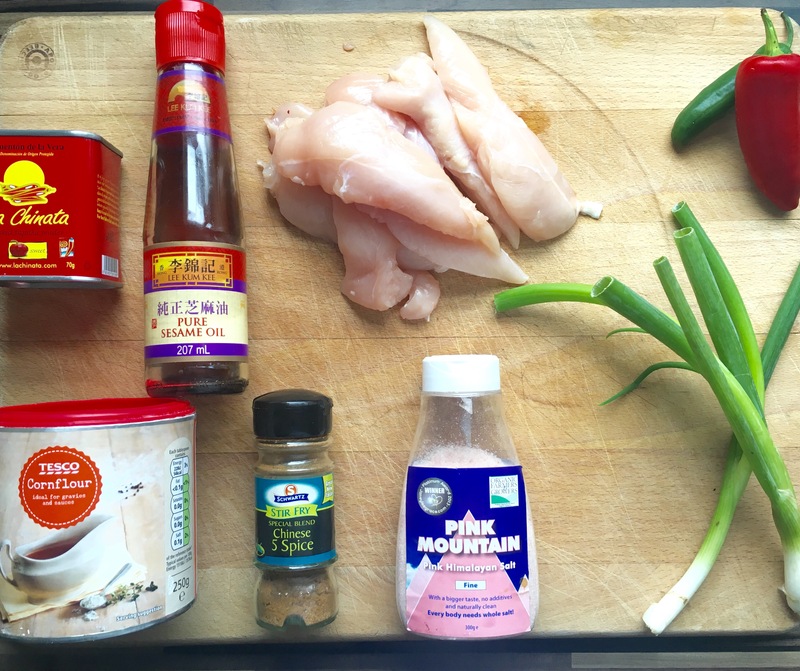 Plate the chicken and garnish with the jalapeños, chilli flakes, Spring onion, sesame seeds and a pinch of salt. I also drizzled with the slightest amount of sesame oil to add another dimension to the dish. Finish by adding the lime/garlic mayo either on the side or drizzled on top. Serve with what ever you desire!